Follow this easy steps on how to disassemble a computer steps guide. Repairing your damaged computer can be very expensive; the process may even cost more than the original cost of the computer. Therefore, you should know how to disassemble the computer and also become an expert in the field and start earning more money as you provide repair services to new clients or friends. There are various steps that you should follow when disassembling you computer and they include. 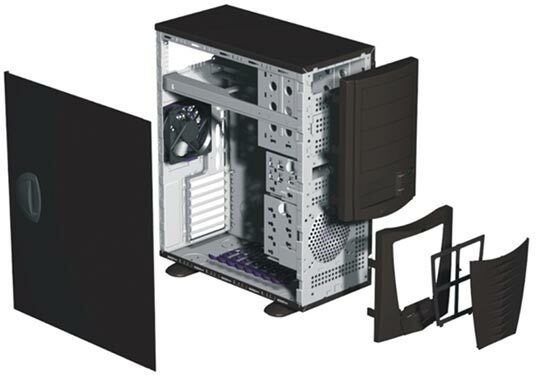 First Step is to examining your computer keenly is the first step whereby, you will locate all the screws and other components in the computer not to make mistakes when opening and closing the machine. The manufacturers will always provide a manual; hence you can use it for easy disassembling. The next and most essential step is to disconnect all the cables plugged in the computer and other components. Then, you will remove the battery if you are working on a laptop. The other step to follow is to remove the hard drive, memory, any wireless card and the optical drive. Each of these devices has its ways of removing it from the computer. Thus, ensure you remove them properly to prevent lose of data or damage. Remove all the screws holding these components together and keep them safely. You should also remove the screws holding the computer at the base or the sides which are not easily reached and the open the display panel. The next step is to remove the keyboard, keyboard bezel and the switch board. To remove the keyboard bezel, you should use a flat-head screw to pry it up. Then, you should not forget to unplug the keyboard from the motherboard. The cables connected to the motherboard should also be disconnected, especially the power cable and the video cable if your system as it. Now you can separate the two sides of the computer and remove the USB ports, speakers and modems. Finally you can remove the fan or the cooling unit and remove the CPU from the socket. Do this in the right way and you will have disassembled you computer safely without any expenses.